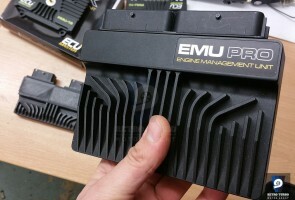 Genuine EcuMaster EMU installation bracket. Comes in either black, orange or white. SKU: emubracket. Category: Connectors, cables and brackets, Engine Management Systems.